For three decades, Exodus International has tried to fool the U.S. Christian Right into believing that homosexuality is caused by bad parenting and abuse that can be reversed if one simply prays hard enough and if one adheres to tiresome and unimaginative activities that are stereotypical for one’s gender. With the U.S. white evangelical market nearly saturated by these myths, Exodus International is now turning its attention to Latin America, where Exodus has political “ministries” in just two countries. 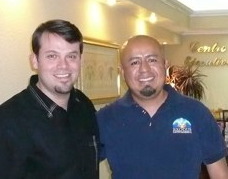 Earlier this month, Exodus spokesman Randy Thomas interviewed Oscar Galindo, executive director of Exodus Latin America. Thomas paraphrases Galindo as stating that EXLA conferences will convince pastors and antigay parents “about the basis of homosexuality, roots, prevention, reorientation, how the church should be involved, sexual abuse, accountability, practical suggestions to help.” Exodus’ superstitious views regarding homosexuality and “reorientation” are contrary to well-established science. Galindo’s anti-scientific re-education plan resembles that of Exodus board member Don Schmierer, who took the same agenda to a March 2009 Uganda ex-gay conference whose intent — announced in advance — was to launch that nation’s current campaign of vigilantism and arrest, imprisonment, and execution of LGBT Ugandans. Exodus Latin America will hold its next conference in Costa Rica.